The Digital Research Library of Illinois History Journal™: A Significant 1893 Photo of Lake Shore Drive in Chicago which was Misdated on the Internet. A Significant 1893 Photo of Lake Shore Drive in Chicago which was Misdated on the Internet. Lake Shore Drive, looking north from the top of the Chicago Water Tower at Chicago Avenue, as seen in 1893. 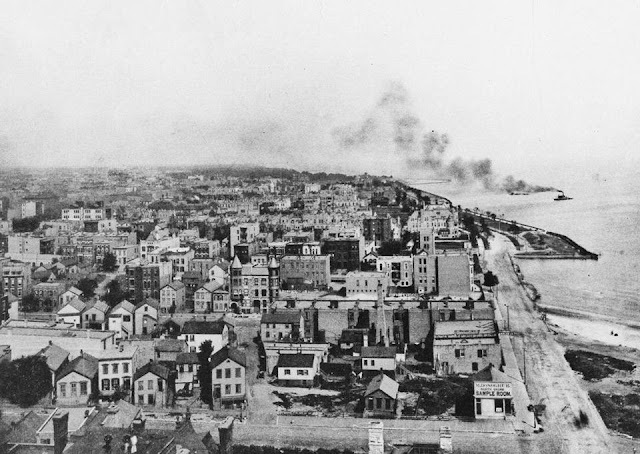 In the right foreground is the north end of Pine Street, now Michigan Avenue, with the Edith Rockefeller McCormink home, then occupied by General Joseph Torrence, in the middle distance across from the inlet of Lake Michigan at Oak Street. In the background the tower of the Potter Palmer castle rises above treet in an underdeveloped area. Landfill already is creating a lakefront vista along Lake Shore Drive. Again... the Internet propagates false information as every website with this photo has the wrong date of 1870, make it a year before the Great Chicago Fire. 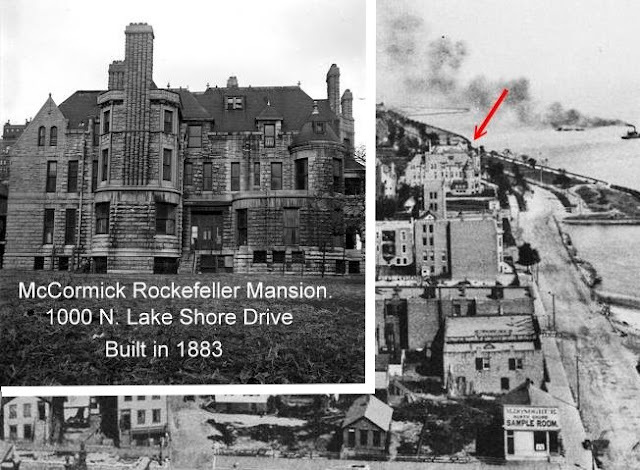 It appears that the building with the arrow (at 200% zoom) is the McCormick Rockefeller Mansion at 1000 N. Lake Shore Drive, which was completed in 1883. It also appears that the mansion had added the chimney on the southside at a later date. 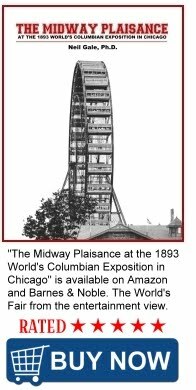 The image was from the Chicago History Museum's Collection and dated 1870. With some painstaking research, I found this photos date to be 1889.